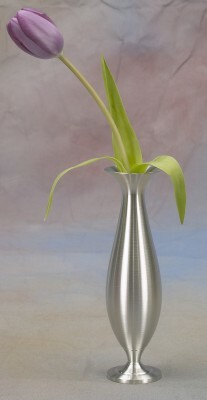 The Hampshire Pewter Bud Flower Vase is the touch of beauty that a few flowers need. 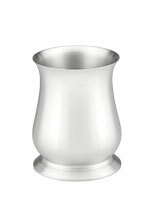 Our simple and elegant design makes the vase a generational heirloom. We can even engrave it with your personal message. Location of the engraving is on the face of the vase.